Looking for Internet Marketing Training? In early 2004, Facebook, YouTube, Flickr, Yelp and Twitter didn’t exist yet. At that time, WordPress and MySpace were the newest kids in town. While MySpace has declined, WordPress continues to grow and, at this time, over 50% of new websites being developed today are built on the WordPress platform. Technology has certainly changed the way we do business. Three years ago, we used to say, “If you don’t have a website, your are invisible to a lot of your customers.” Now we say, “If you don’t have a website, a social media presence and a comprehensive internet marketing strategy, you will be left behind.” The ROI of learning about and effectively using internet marketing is that your business will still exist in the years to come. What are today’s businesses to do? It seems that we are overloaded with so much new information and so many new opportunities, it’s just hard to make sense of it all. I think author, Corbin Ball has it right, “Information is cheap, the value is in wisdom.” Businesses need someone to help them break down the information and show them how to make new technologies work for them. Businesses have some options. 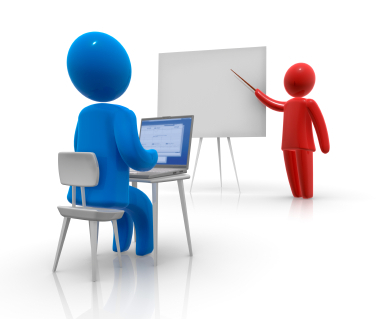 One is to seek out training from your area’s Small Business Development Center. These centers often offer great training. I am one of the speakers for the SBDC at Arkansas State University. I am always impressed by the center director, Herb Lawrence. Herb understands the need for businesses to keep up with technology. If the center director in your area is as savvy as Herb, you may be able to find some great group training that will help you. Another option is to obtain in-house training. This is something that Wharton Marketing now offers. We spend several hours per week on education in the latest and most effective internet marketing technologies and techniques that are available. Because of my background in training and education, it is a natural choice for me to turn around and teach others what can help their business. It may be that your business needs to learn how to use Facebook effectively or how to integrate social media into your marketing plan. It may be that you need training on how to update your website. I can come to your business and work with your team to train them on the best in internet marketing. I can also speak to your association or convention about internet marketing. There are two opportunities that you can take advantage of today. Go check out my speaking page to see some of the past topics that I have trained and get more information about how internet marketing training can help you and your business. Register for the ASBTDC seminar that I will be teaching on September 27th on Website Strategy and Planning. Just click on the “register” button below.